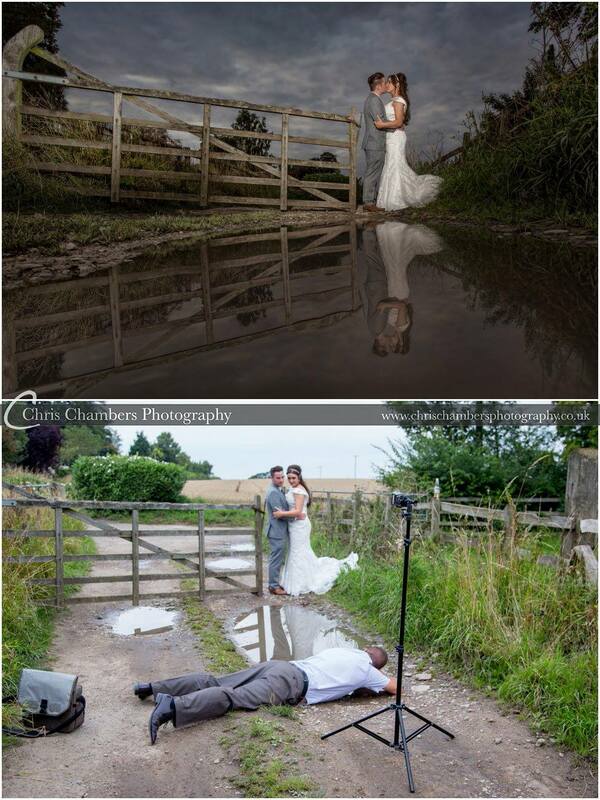 Behind the Scenes – wedding photography can be wet and dirty. 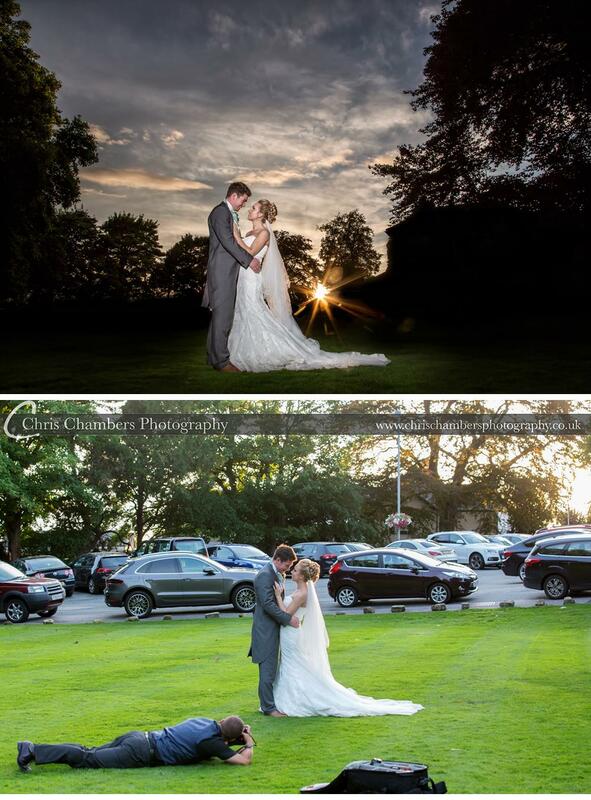 Late August we posted a wedding photograph to our Facebook page from Leanne and Chris’ wedding at Hazlewood Castle along with a behind the scenes photo showing how we had taken the final photograph making use of the low camera angle, puddle and wide angle lens to give a completely different view point. The image became our most popular ever Facebook post and came as close to being viral as we could ever imagine with tens of thousands of shares and so so many likes on our page and others, one Facebook page reaching almost half a million likes! 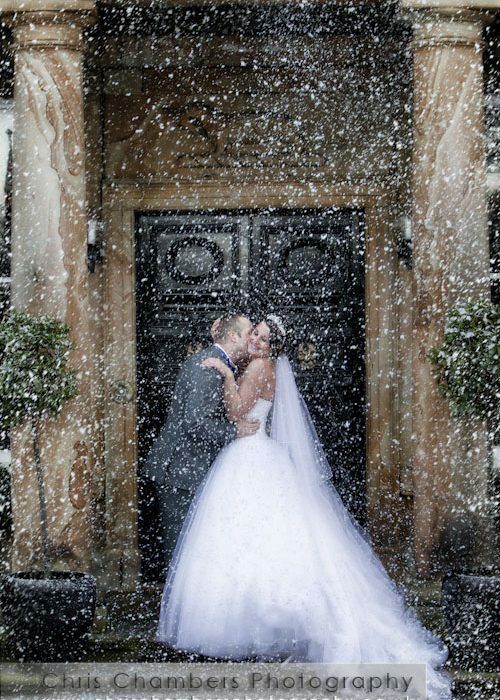 We aim to achieve a lot of this work in camera, having spent time working on lighting and other techniques to create stunning wedding photographs straight out of camera without relying on too much photoshop manipulation, we prefer photography to the boring computer work. Here’s some examples from the last few years…..
One of our first Behind the Scenes, Following a large snow melt in the field outside Allerton Castle was large puddle of water. Bright sun and almost no wind allowed me to take off my shoes and socks and walk into the puddle for the photograph with a great Allerton Castle reflection behind. 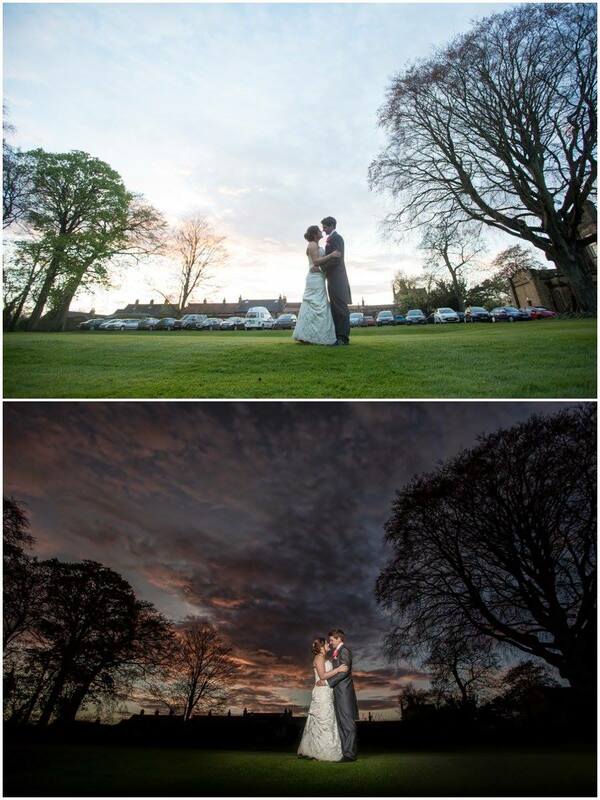 Often Venues are surrounded by carparks or have them in direct line of sunsets, This is from Ebony and Shane’s wedding recently at The old lodge, Malton. With the carpark in the north west corner of the venue we were forced to photograph the birde and groom with the cars behind. The top photo shows the location and setting, the bottom was the finished result which required very little photoshop editing. We try and create the effects in camera rather than spending hours editing. 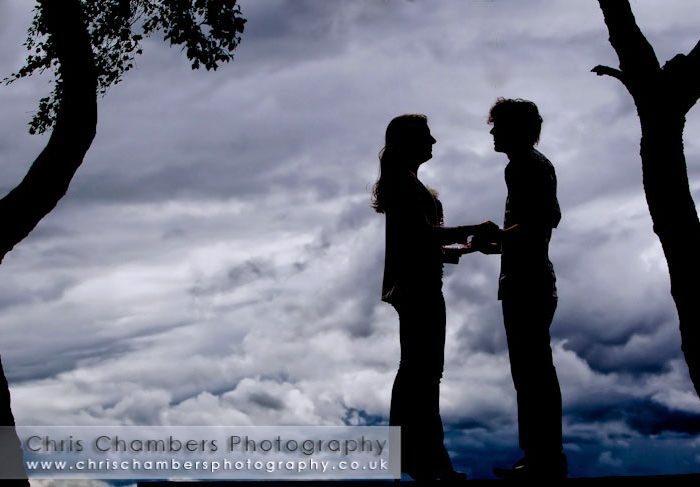 A change of view point with this photo or James and Sally at Hazlewood Castle. 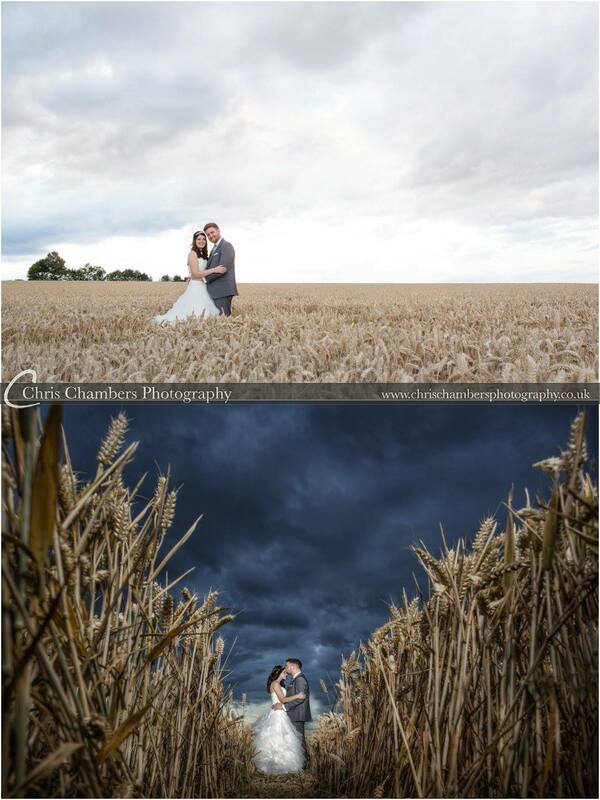 The top photo shows them in in the field whilst the second wedding photograph adds more drama combined with the dramatic lighting and skies we are well known for. Sunset and another car park. Carl and Vicky at the Mount Pleasant Hotel in Doncaster in the summer. 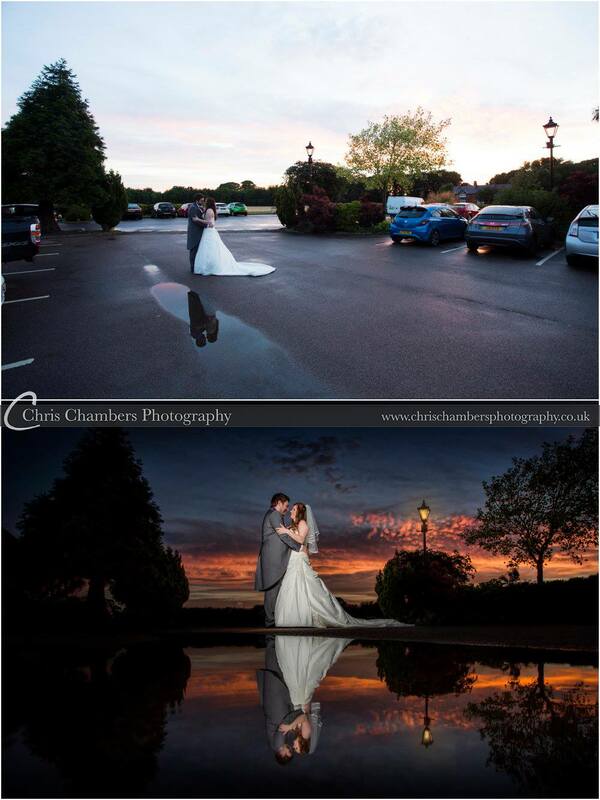 The small puddle offered an amazing reflection and with the viewpoint, lighting and exposure adjustments we were able to remove the car park in camera. 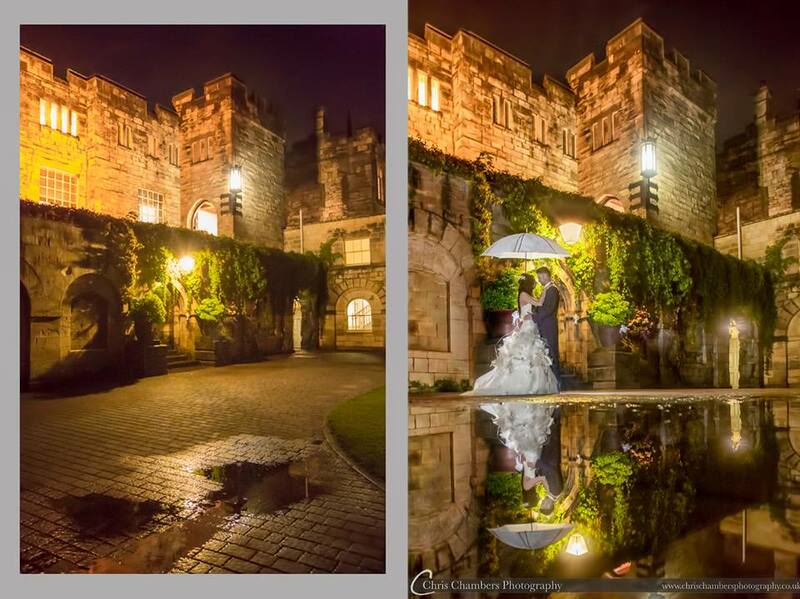 Following heavy rain at Hazlewood Castle a few weeks ago we had a couple of puddles in the courtyard to play with. This wedding photograph of Hayley and Garry after dark involved placing the camera into the water and holding it steady for the relatively long exposure required to create the finished photograph. Wentbridge House for Natalie and Alex’s wedding. Again sunset is inline with the car park. Catching the last rays of sun through the trees at the far end of the car park has brought us close to the cars, however our camera settings, lighting and view point have created something completely different. Finally, what started the madness! 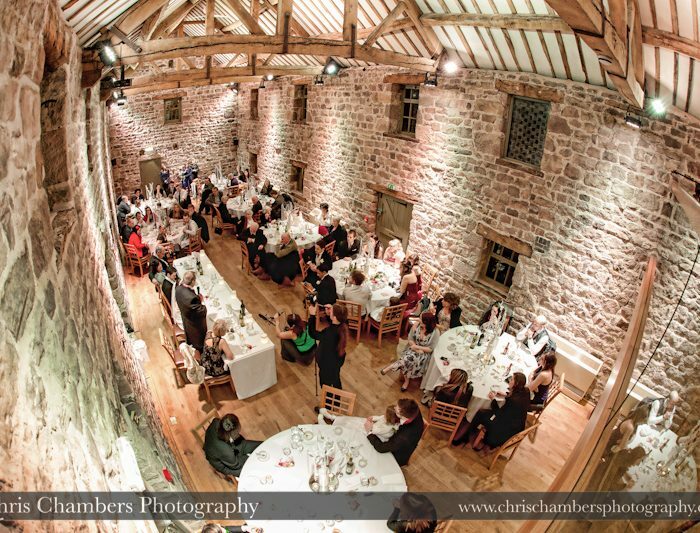 Leanne and Chris at Hazlewood Castle. The long narrow puddle was ideal for the reflection and getting down and dirty again allowed me to create the long reflection. Our lighting (Just two speedlites – the other is in the hand of my assistant) has again helped create the strong sky and contrast. found you through a Petapixel article. It's amazing what you've created out of nothing. Thank you for posting these behind the scenes images. It's inspiring to me. Just wanted to give you props from the US! Don’t forget you can also find us on facebook! Copyright © 2019 Chris Chambers Photography.